An al-Qaeda-linked group issued a Hebrew threat on Thursday to avenge Israel's killing of two Gaza militants, in what an expert said was the first use of the language for such propaganda. In the half-minute-long recording posted on a website used by declared al-Qaeda affiliates, a hoarse male voice tells the "aggressor Jews" they will not be safe from rockets and other attacks until they "leave the land of Palestine". The speaker identifies himself as a member of the group Jemaa Ansar al-Sunna or "Community of Sunna Supporters", which has a presence in Gaza. Mohammed Nimnim and Islam Yassin, killed in Israeli air strikes on Nov. 3 and Nov. 17, were Gazan leaders of the Army of Islam, a Palestinian Islamist group inspired by al-Qaeda. Israel accused them of having planned to attack Israelis in the Egyptian Sinai. Matti Steinberg, an Israeli intelligence veteran who specialises in Islamism, said it was unprecedented for Hebrew to be used on an al-Qaeda forum. 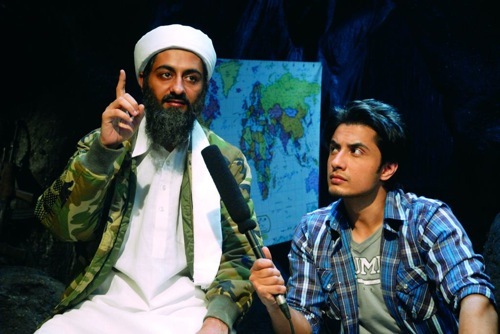 While Osama bin Laden's followers have made public appeals in languages other than Arabic, this was usually to "win over, educate and preach to the wider Muslim world", Steinberg said. "Here, by contrast, it seems the idea to make Jews feel that the threat is close at hand and not some distant menace." The recording, which was quoted on Israel's Army Radio, ends by invoking "al-Quds", Arabic for Jerusalem.